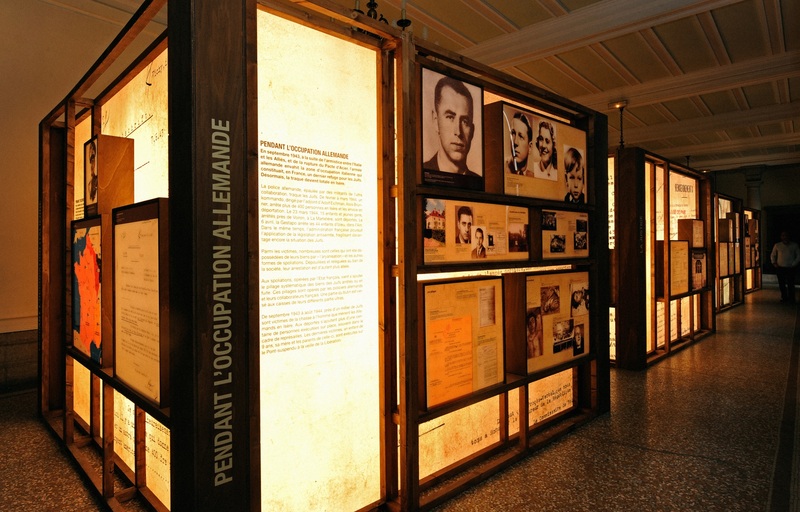 Exhibition in the old Dauphiné parliament building in Grenoble about the plundering and extermination of the Jewish people in World War II during the German occupation of France and the Vichy regime. 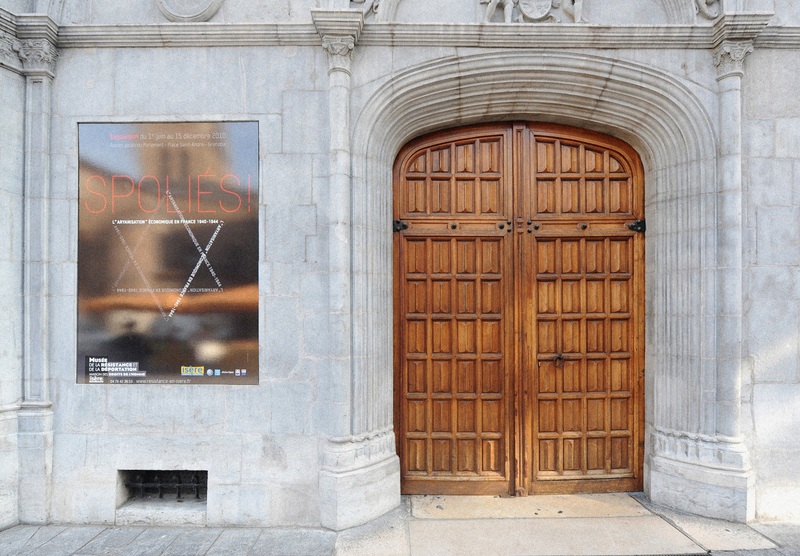 This exhibition was held in the Hall of Lost Steps in the old palace of the parliament of Grenoble. 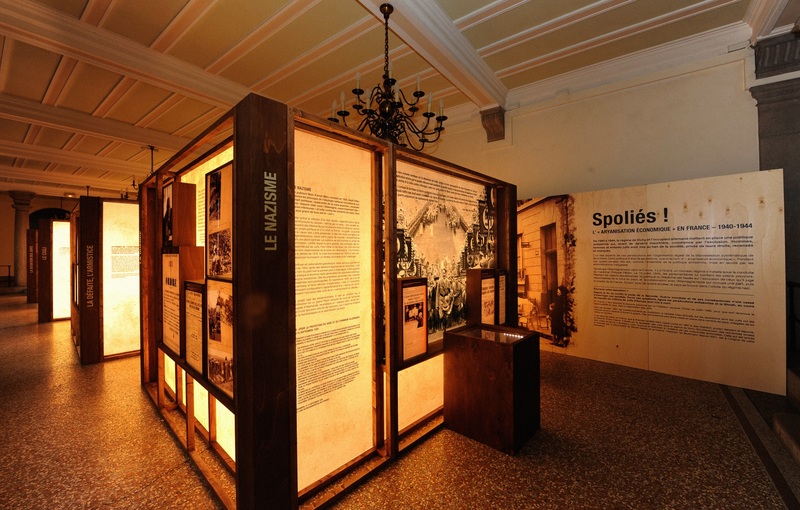 It is the result of research by the historian Tal Bruttmann into the policies of isolation and plundering suffered by Jewish society during the political regime of Vichy, between 1940 and 1941, under the name of “economic Aryanization”. 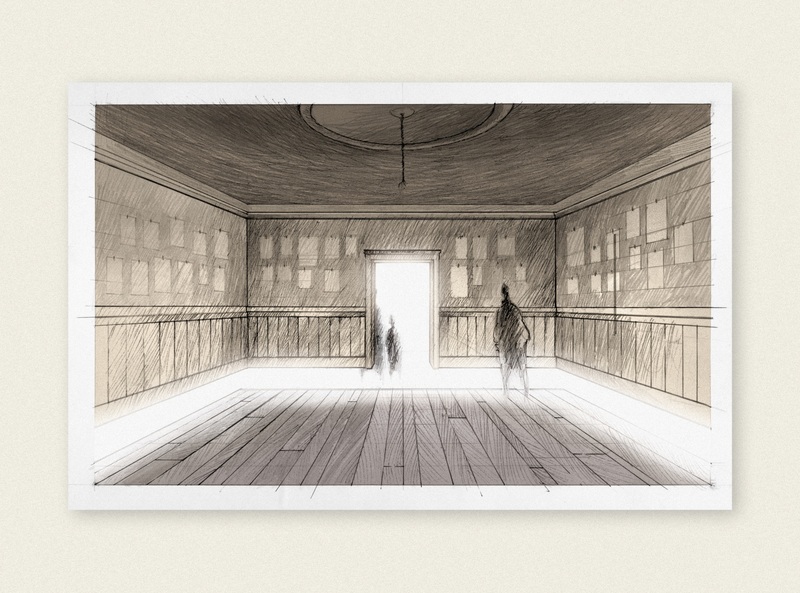 The client was interested in exhibiting the historical documents that bear witness to these events, but there was an excess of information and the documents were monotonous. Our proposal involved reproducing these documents, thus avoiding the cost of conserving the originals, and focusing the design of the museography on the experience of deportation. To that end, four boxes were arranged on the ground floor, shaped like primitive hard drives or containers intended to indicate the importance of memory and recollection. 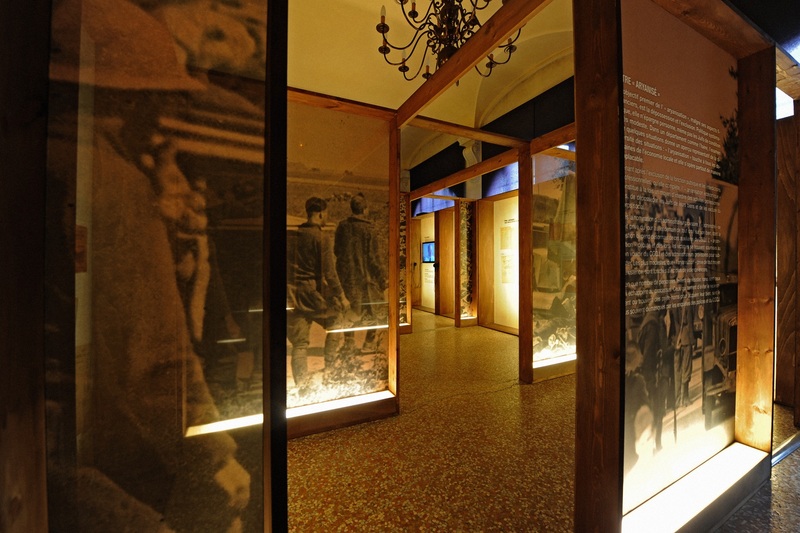 Reproductions of photographs and personal and official documents were placed inside. The only original pieces on exhibit were a copy of the Torah and a volume of Mein Kampf, which awarded them a special symbolism. The top floor explains how Jews’ property was plundered and how it was the beginning of a journey to the concentration camps. There are two main pieces in this area. 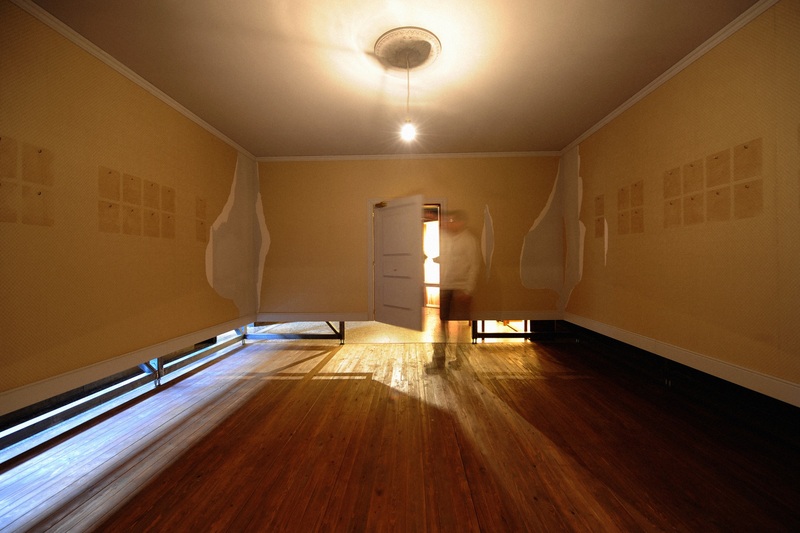 The first is an installation that recreates the atmosphere of the pillage and aims to incite empathy among visitors: the interior of an empty house, where the outlines of the objects that filled the walls can still be seen against the background. 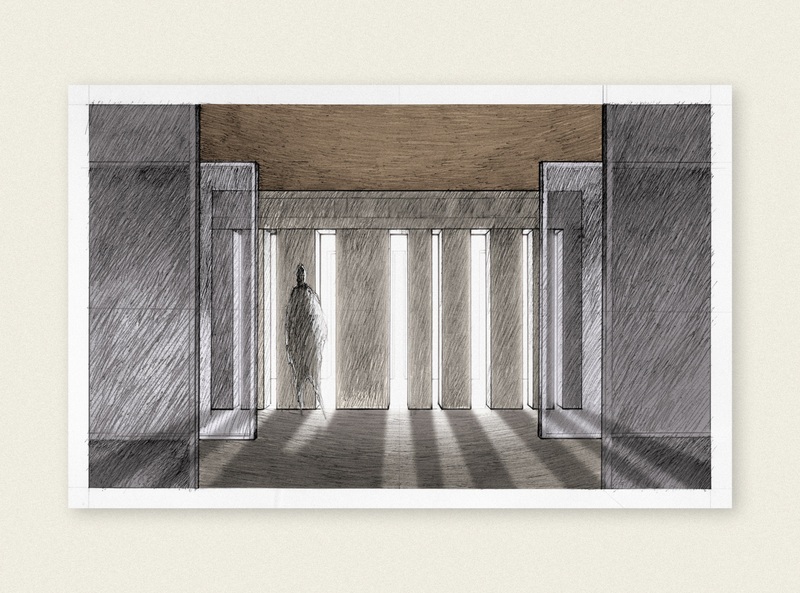 To emphasize the scenographic character of this piece, it was built about 50 cm above ground level. Every time anyone opened and closed the entrance door, the whole structure trembled. From the outside, this room again recalls packaging, an aesthetic that appears throughout the entire exhibition. 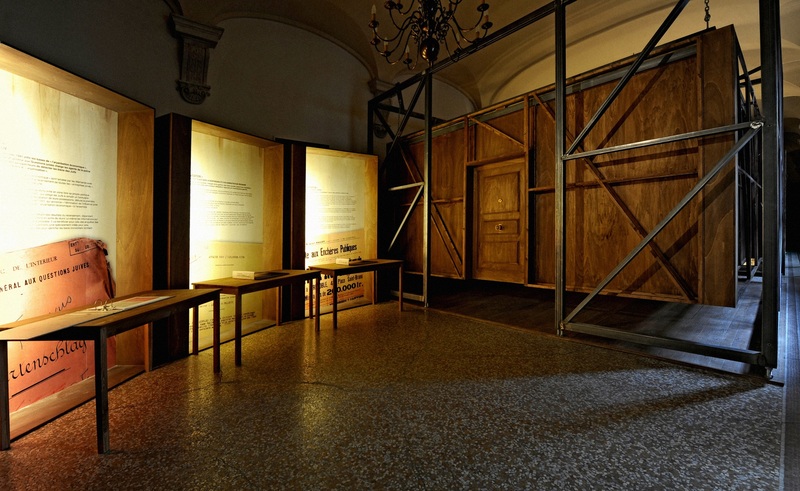 After crossing through an area that reproduces images of the Second World War, we reach the end of the exhibition with another installation that contrasts with the initial piece. 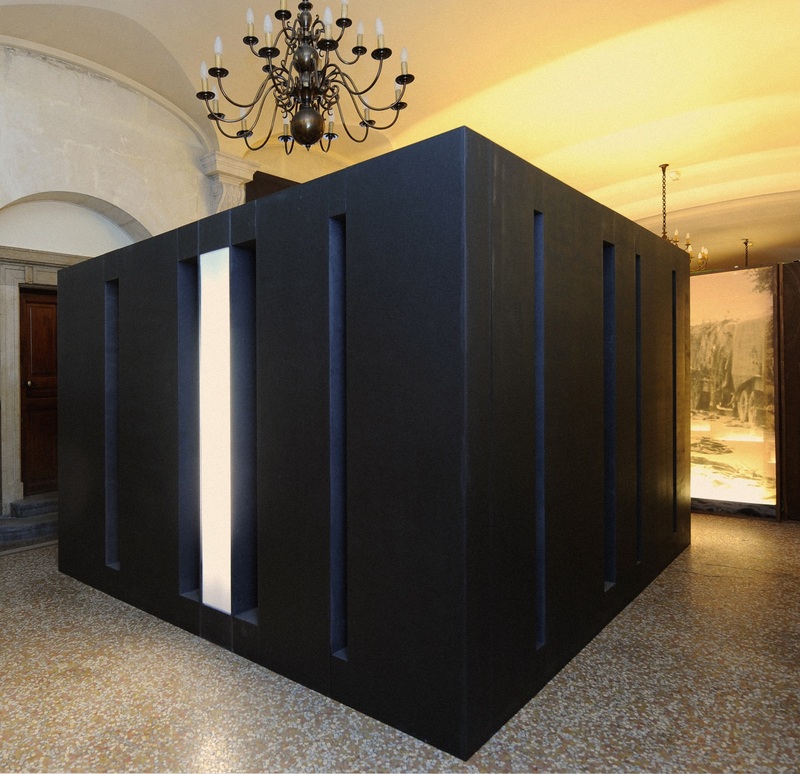 Here we find an inaccessible black box, although we can see into its interior through the cracks. 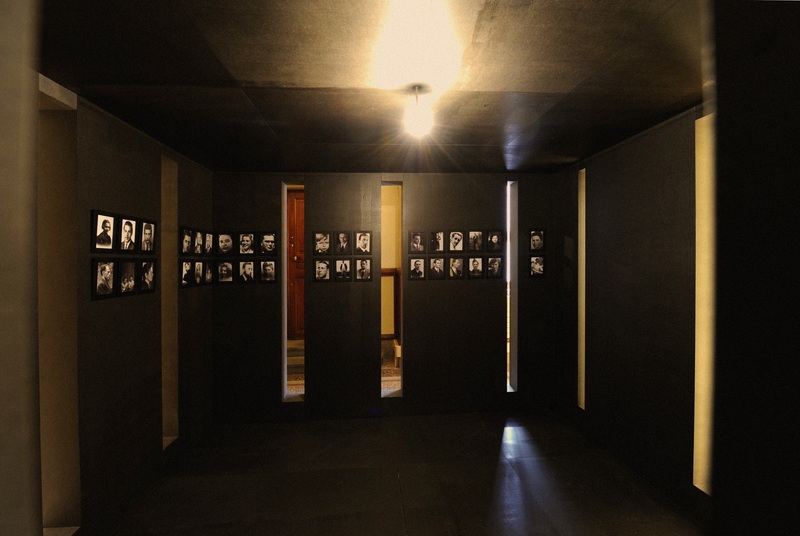 Inside are the portraits that were removed from the walls in the previous room – photographs of real people who suffered this violent seizure. It is a memorial, a space where the living cannot enter, and its main message is that not only their houses and their property were plundered, but also their lives. Only 20% of the Jews who suffered pillage recovered their belongings.